Sometimes purchasing 1 for 1 groupon vouchers is good because it allows you to eat your fill without having to force food down your throat and regret all over again coz you just paid an exorbitant amount of money for the meal. 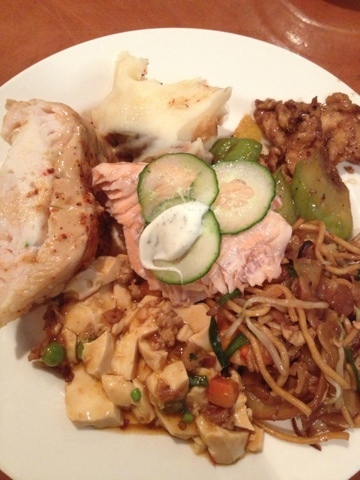 Nevertheless, paying half the price for a hotel's lounge buffet is still very much worth the money. Especially when you're dining with a big group of people say, relatives and extended relatives and a class of friends during a meet up, buffet never goes wrong. 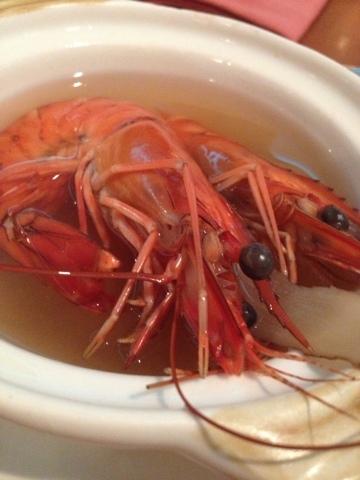 The drunken prawn's soup was tasteless and some prawns are soft and not fresh. So it's a little disappointing. 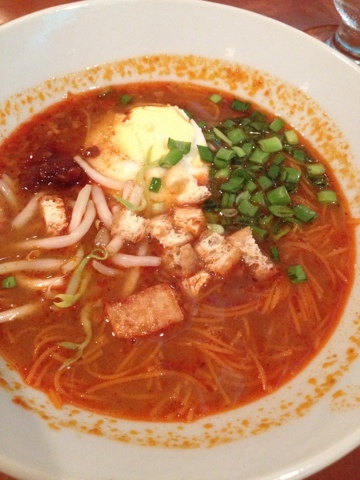 I would say the Mee Siam is pretty decent with the condiments which we can happily top up on our bowl of soup Mee Siam. It's gravy is thick and not too sour to our liking. 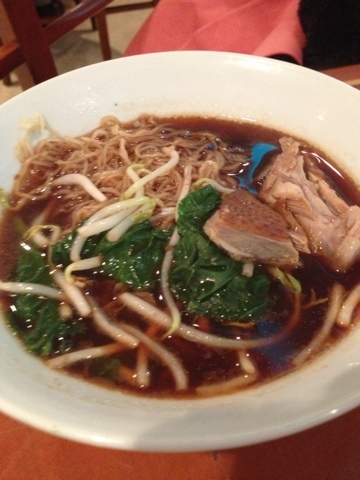 Whereas the duck noodles has a overly strong herbal smell and tasted like it was soaked in herbs for weeks. Though the noodles was tangy and would be good if I have eaten it dry with some dark soy sauce and chilli! Desserts seldom goes wrong and I'm glad at Orchard Hotel it gave me the same sentiments. 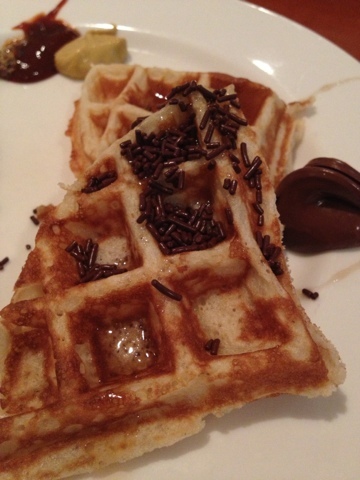 Their waffles were freshly made from the oven and was crispy on the outside and soft on the inside. 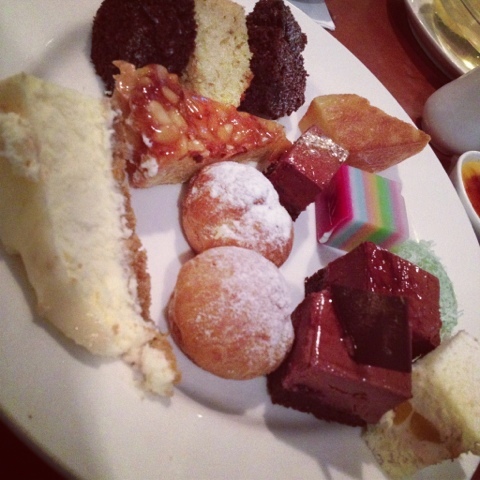 Coupled with toppings like chocolate rice and maple syrup, it was indeed the best ending one could have for a buffet. 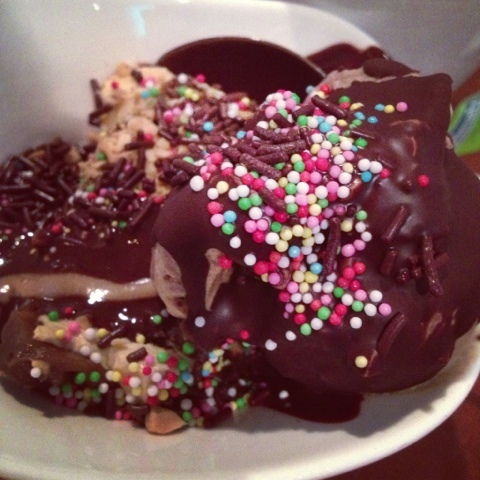 Or else you could too it with ice cream which is what I did for my second round! The other desserts worth trying are the chempedak creme brûlée and the choc Swiss roll. The nonya kuehs are a bit hard for me. There's also the huat kueh with red sugar just like how we loved it when we're young kids. Just a little warning when you dine here at Orchard Hotel, the juices beside the bread section can be really tempting but they cost $5 extra per person for free flow of the juices. Though not expensive, you wouldn't want to be shocked when you made payment and only to realized it. 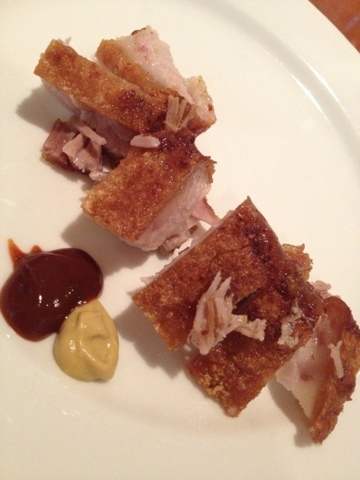 I'll definitely go back for the Hi Tea buffet which I heard is even better!